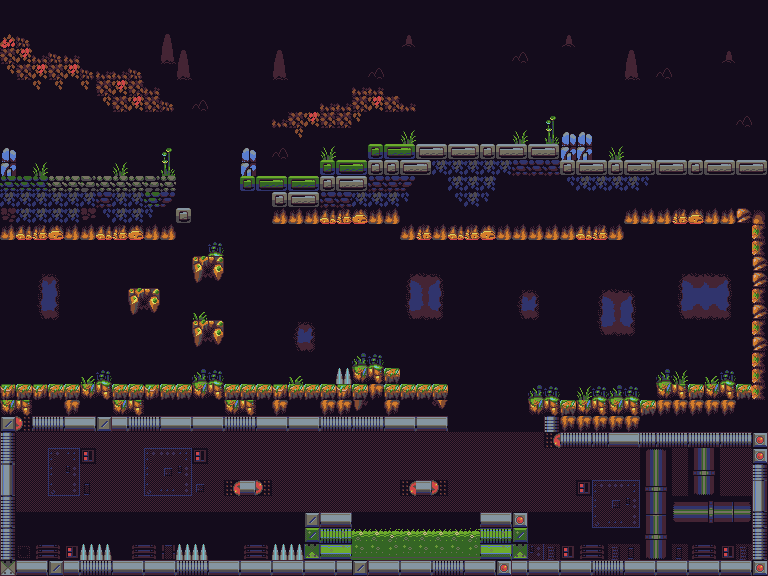 A Metroid like tileset and character i did in 16 colors inspired from Metroid and various mockups. A credit would be nice if you use them. Very cool art style and color palette! For some reason it makes me think of Lemmings, regardless, it looks awesome! Chipmunk - Thanks very much. I made heavy use of this sprite sheet in Star Guardian - which is a free to play Metroid type of game on Android. You have been listed in the credits at the End Game Sequence. Let me know if this is acceptable or if you want something more! This art was really the linchpin for the games success as i needed a headstart on the artwork. I did take and modify some things. 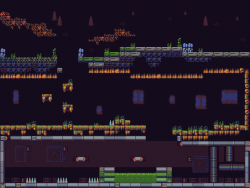 I used the main character style that you had and reskinned it because i wanted the color to stand out against various backgrounds and purple worked better for that in this case. I didn't use the rolly ball because i felt that was too metroid-ish and I had to have some identity. 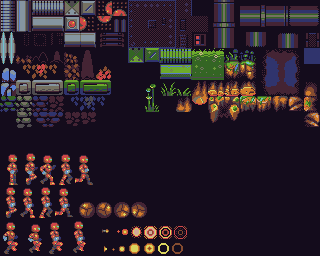 I didn't put all of the sprites together identical to your sample map, but some of it i did. Some of the Jungle platforms that are 4 tile pieces i assembled as you showed. All-in-all it was a fun project and i made it to completion. So feel free to check it out! Star Guardian - Available now on Google Play - check out these awesome sprites in action!